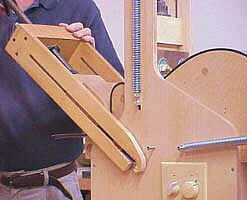 CONTEMPORARY GUITAR MAKING is a comprehensive overview of the entire field of modern lutherie. Whether you're an experienced luthier or just beginning, this unique 5-day seminar will have a lasting impact on the depth and breadth of your understanding as you build your guitars. 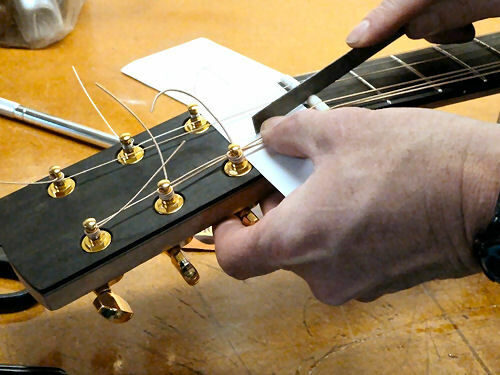 SET-UP, MAINTENANCE & BASIC REPAIR is a 7-day hands-on workshop introducing the skills and techniques used by professional guitar techs to keep guitars in great condition, playing at their best. You'll learn how to trouble-shoot instruments, optimize their performance, and correct the most common problems that full-time repair persons deal with. 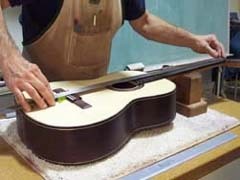 HANDS-ON GUITAR MAKING teaches professional methods and techniques used by today's successful luthiers. Spend one or two high-energy weeks learning the craft as you build your own guitar in a setting designed to maximize your learning and the quality of your work. 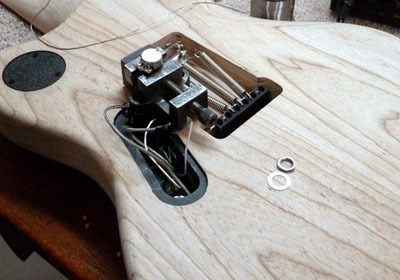 Electric & Bass Guitar Making details. HANDS-ON GUITAR REPAIR is an opportunity to study with guitar repair and restoration expert Kerry Char, focusing for 7 full days on resetting necks, dressing and replacing frets, mending broken headstocks, re-attaching loose bridges, repairing bridge plates, re-gluing loose braces, fixing dents and cracks, spot refinishing, making nuts and saddles, and more. Greetings, Charles Fox here. 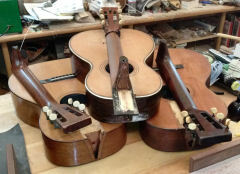 Thanks for your interest in the American School of Lutherie. For over 40 years it's been my pleasure to teach the craft of guitar making and offer my best counsel to folks seeking to enter the field. With so many schools to choose among today, I've included a page of advice on SELECTING A SCHOOL, which I hope you'll find useful. 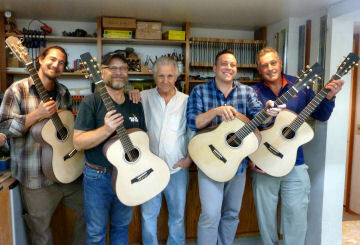 ASL is the original and longest established school for luthiers in North America. Since 1973 many hundreds of beginning and experienced craftspeople have passed through our doors, learning valuable skills and gaining powerful insights into this challenging work. We've introduced the craft to many of today's established luthiers and guided experienced builders to new levels of mastery. 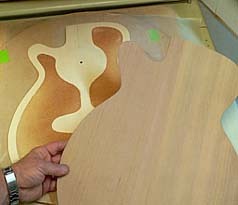 Along the way we've developed the basic learning model and teaching formats used by guitar making classes everywhere. 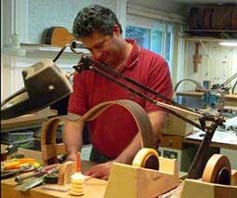 ASL, in Portland, Oregon, specializes in intensive, short-term, full-immersion classes designed for busy working adults - beginners and experienced guitar makers for whom week hands-on building classes and weekend workshops offer a choice of learning experiences designed to provide a strong foundation for continuing work on your own. Classes are small, the environment is friendly and stimulating. We have a good time sharing information, and you'll likely make a friend or two to stay in touch with and compare notes with as you move forward on your own. CLASS FULL? All currently scheduled class dates are posted on this page. To keep our lives flexible for guitar production, travel, etc, we post class dates 3-6 months prior to each class. 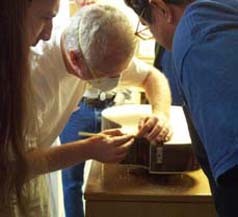 To be notified of future course dates, and receive lutherie and tooling tips, subscribe to our newsletter at the bottom of this page. You'll find class details in the CLASSES section or on each class's individual page, and answers to your most frequently asked questions on the FAQ page. Please email any questions or comments, or feel free to call us. We'll be happy to chat with you in person.